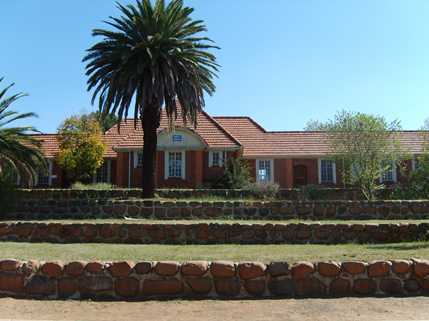 The idea for a Psychiatric Institution originated in 1875 when the State President of that time reported that two mentally disturbed patients were located in Kroonstad and the Caledon River. Other buildings like the Recreation Hall, Main Kitchen, Laundry and Stores were built in 1923. Major extensions took place in the sixties, seventies, eighties and nineties. In 1986 the treatment became more scientifically based and the Diagnostic Statistical Manual (DSM) classification system came to light. The multi-professional team approach was established and the hospital divided into a Psychiatric division and the Care and Rehabilitation Centre for mentally challenged. The name of the Hospital was changed from Oranje Hospital to Free State Psychiatric Complex by the MEC.DOHFS on the 29 April 2003 in line with the Dept plan to rename the hospitals in the Province. Today Free State Psychiatric Complex consists of 877 approved beds and provides services to the Free State province and parts of the Northern Cape. The institution proximally sees 495 Adult outpatients and 430 Child and Adolescent outpatients per month. www.sadoctors.co.za - South Africa's premier interactive site for all medical doctors, specialists, dentists, psychologists, hospitals, clinics and allied medical services in Cape Town, Western Cape, Johannesburg and Pretoria, Gauteng, Durban, KZN and the rest of South Africa.